A picture of me, with a sizable prey item, trying to hold it together! It has been a busy couple weeks here in Vancouver, preparing manuscript revisions for an upcoming paper and writing grant proposals for upcoming fieldwork. They way it is looking now, I may soon be travelling to Honduras in the fall for a 3 week expedition to survey for Red-throated Caracaras and Scarlet Macaws in a remote region of Olancho. This trip will also be to familiarize myself with the terrain, meet the local conservationists and researchers, and get rolling on some permitting issues pertaining to future fieldwork. This is an exciting development for species and habitat conservation, as well as for my harebrained scheme to continue research on my favourite loud birds! 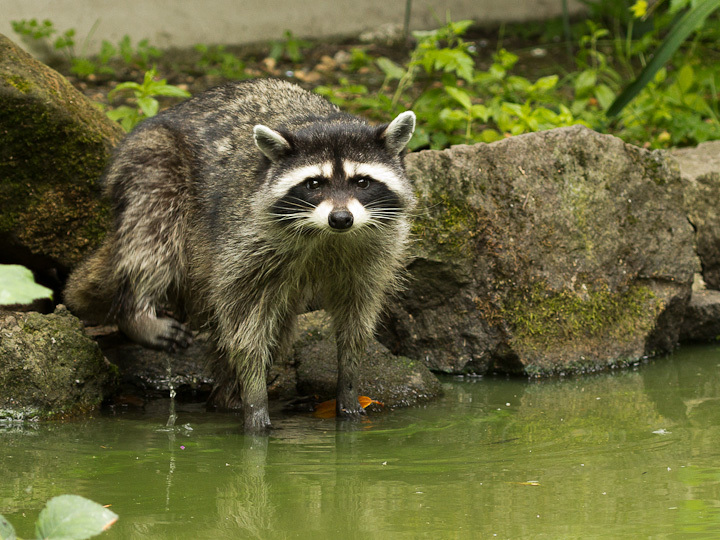 Anyway, with all the excitement, it has been tough to find time to go out to shoot, but that is exactly what I did yesterday, hanging out in Stanley Park, and seeing what the late summer had to offer. 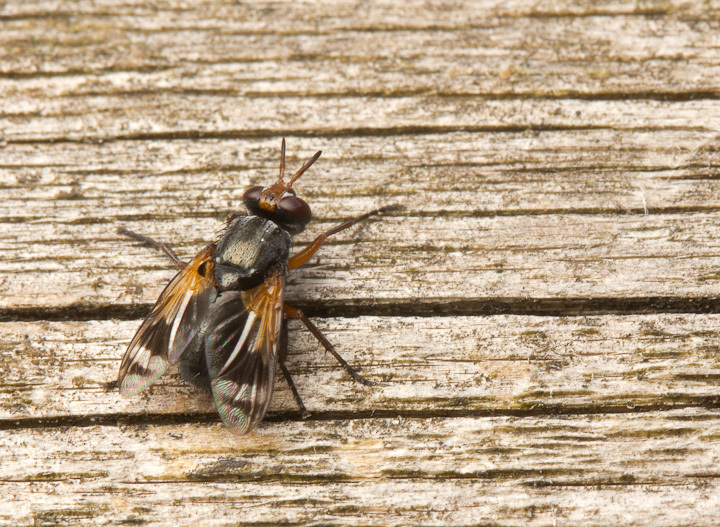 At first, I thought this fly was a member of the Orthorrhapha, the group including horseflies, but Morgan Jackson of Biodiversity in Focus correctly ID’ed it as a Tachinid! Don’t believe me? 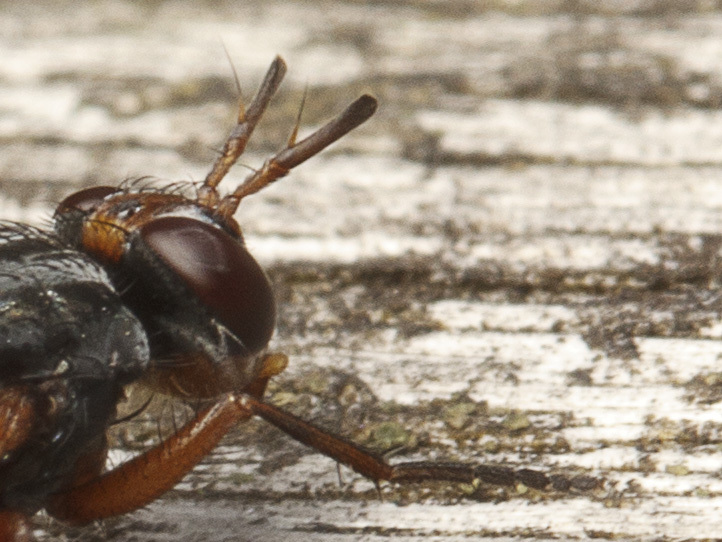 Check out the closeup of the antennae! The species is Euthera setifacies, one of only two species of Euthera in North America. That’s a Cyclorhaphan, man! 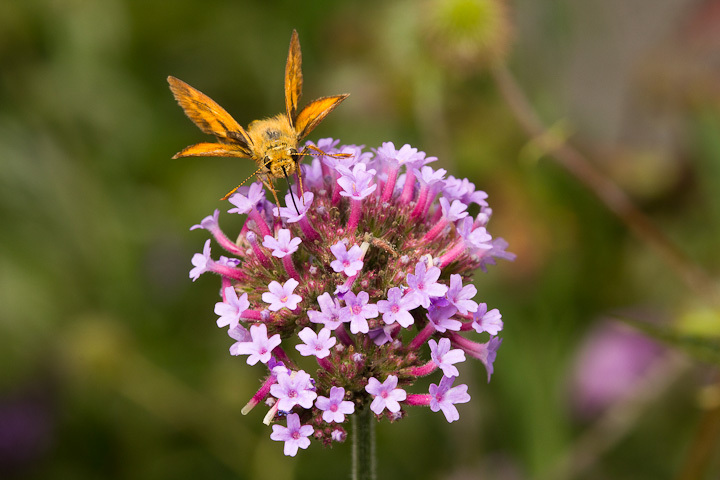 Those antennae are aristate! 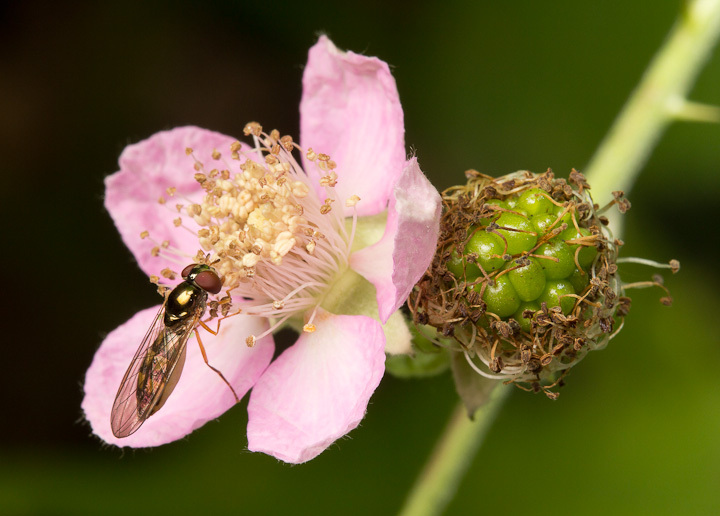 The Himalayan Blackberry is still being visited by pollinators, but the vast majority of the fruit is ripe. 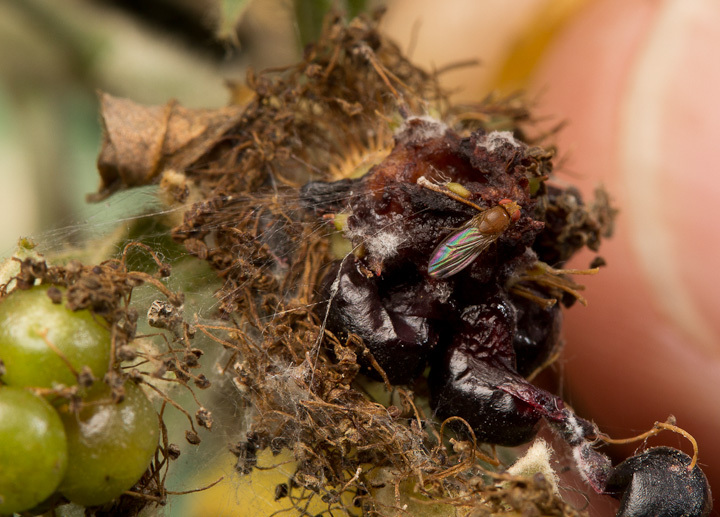 The ripe blackberry is under heavy attack by Drosophila suzukii, an invasive species of vinegar fly from Japan. 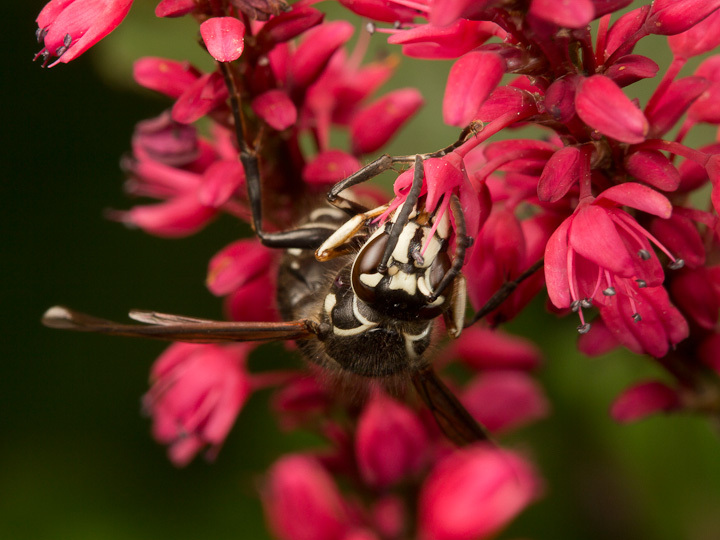 This is male shows why the species goes by the common name “Spotted-winged Drosophila”. This male Common Aerial Yellowjacket (Dolichovespula arenaria) is also a harbinger of fall. 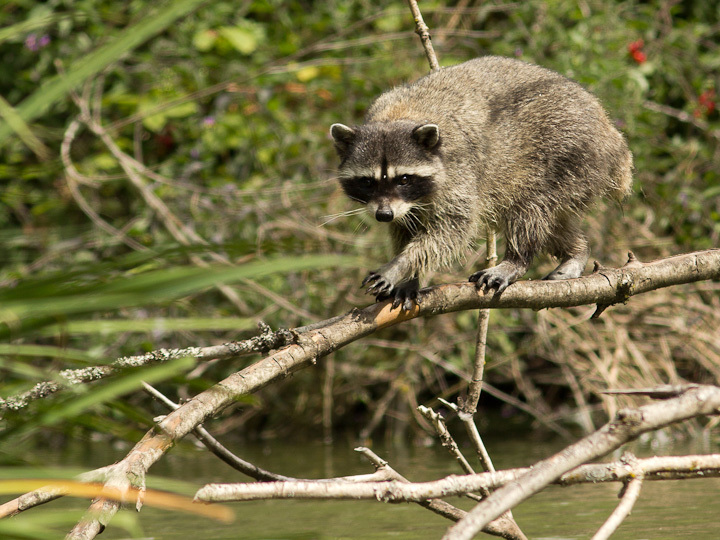 Their colony cycle is almost finished, reproductives are being produced, and within a month or so their nests will decline. 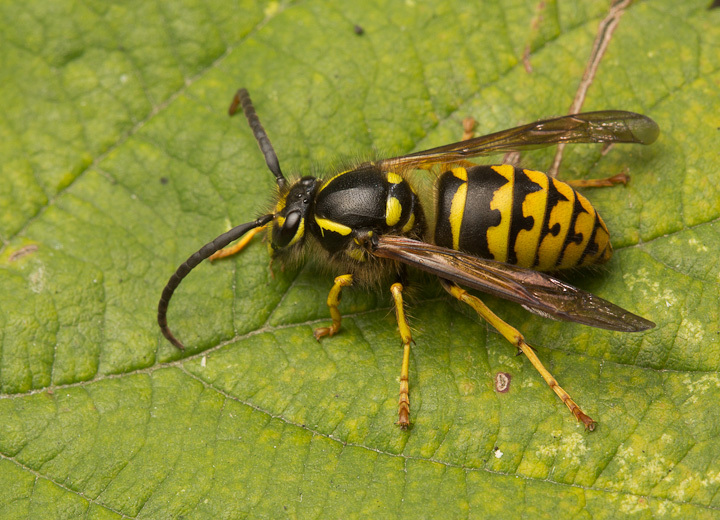 When the Bald-faced Hornets (Dolichovespula maculata) start nectaring, it is also an indication their colonies are in decline. Because much of the sugar for the adults is produced by the larvae (trophallaxis! 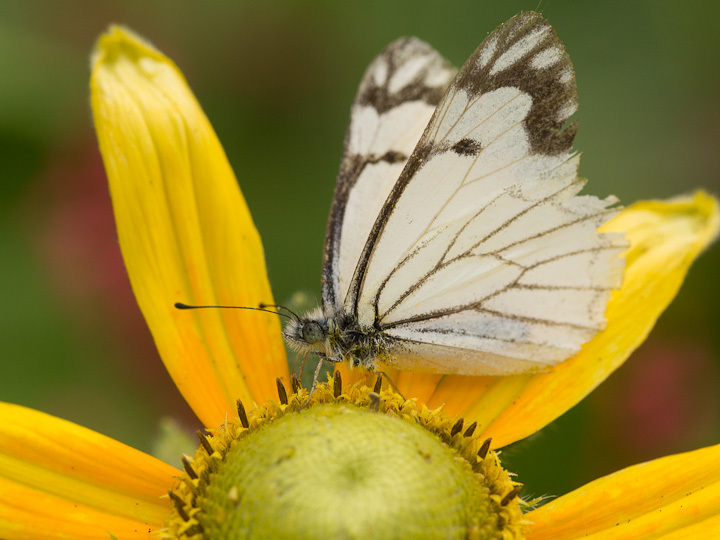 ), when larval numbers are low, adults must find other sources of fuel. 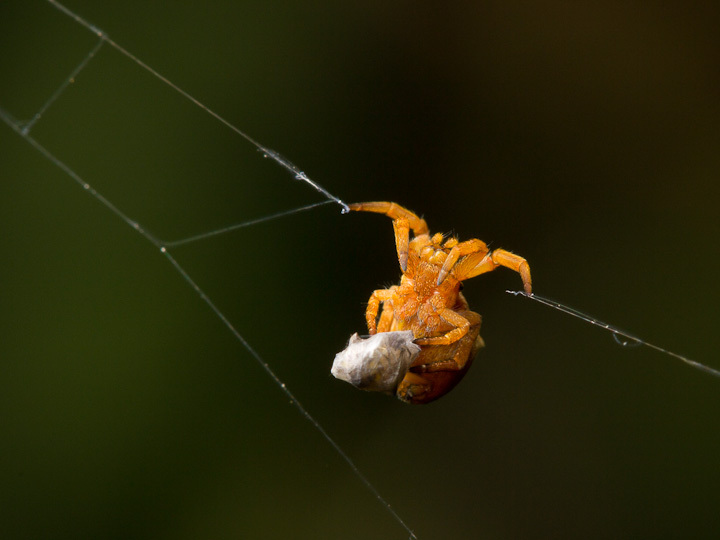 A Sierra Dome Spider, Neriene litigiosa (Linyphiidae) has a snack at the top of her dome web. As fall approaches, these become extremely apparent in almost every salal bush. 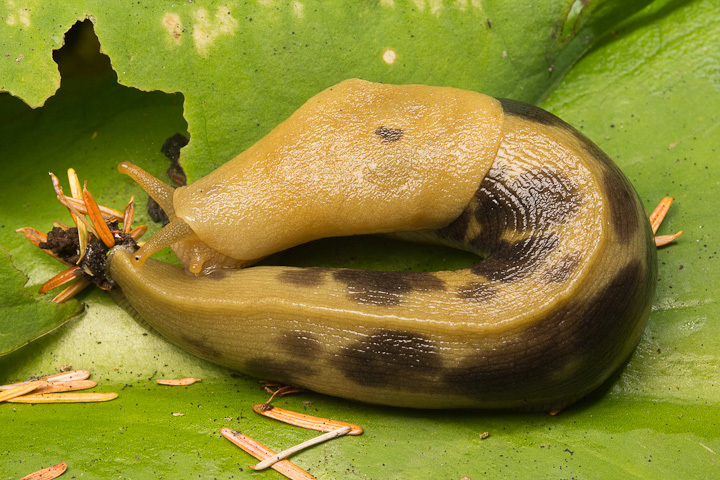 Our largest native slug, the Spotted Banana Slug eats some skunk cabbage. 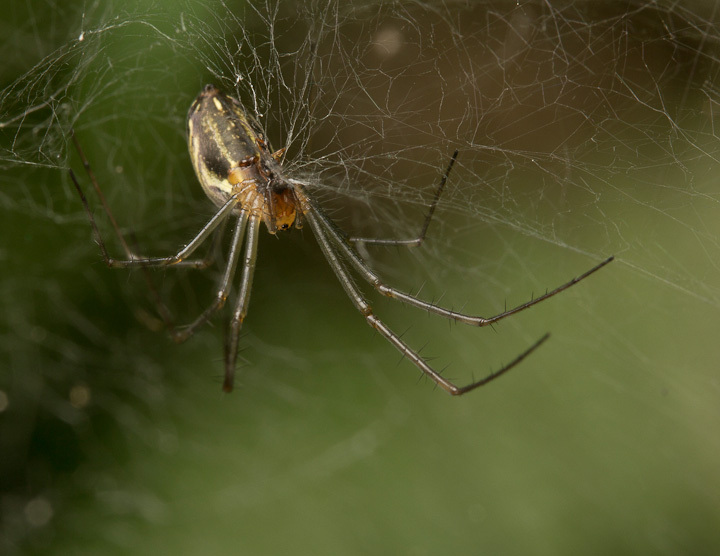 The termites are flying, and their long wings and slow flight make for easy snares for web-building spiders. I like how the green of the fern is reflected in the translucent wings. 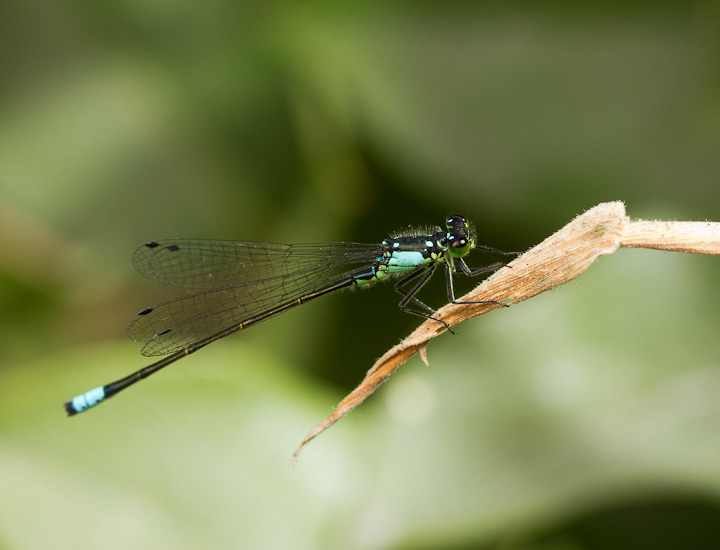 A Pacific Forktail (Ischnura cervula) hangs out by the water. 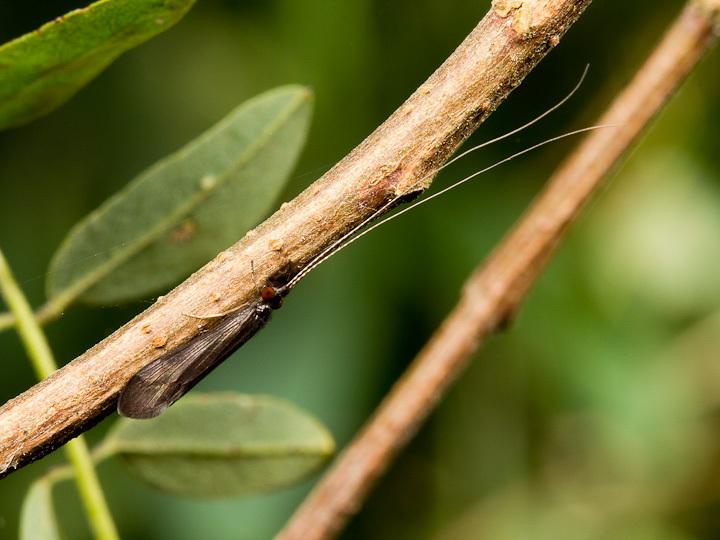 A Black Dancer (Mystacides sepulchralis) a type of Caddisfly, rests near Lost Lagoon. 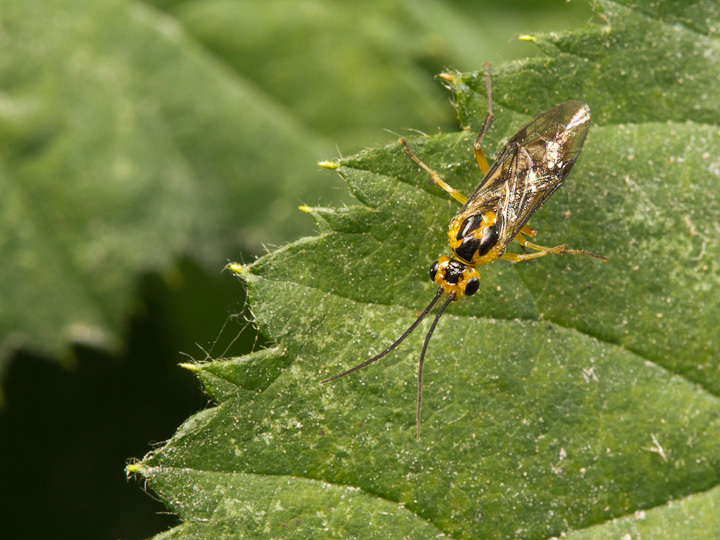 Some kind of Nematus sawfly. 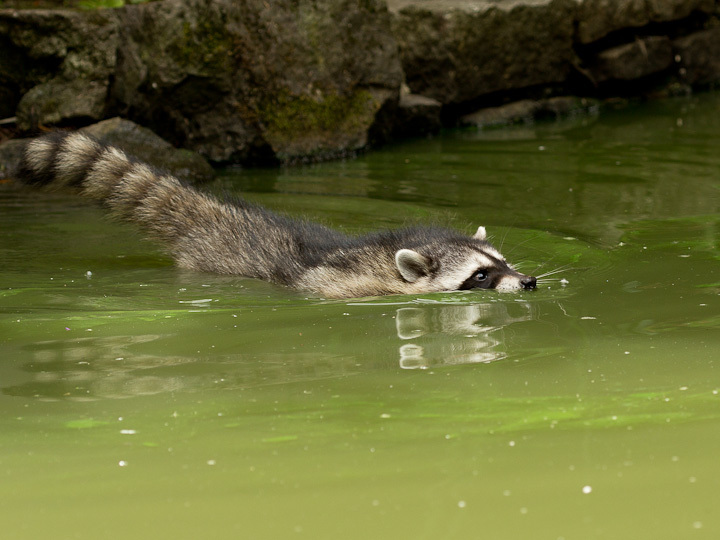 A raccoon checks out the situation before crossing the water. I love how they hold their tails out! Those without tails make do. 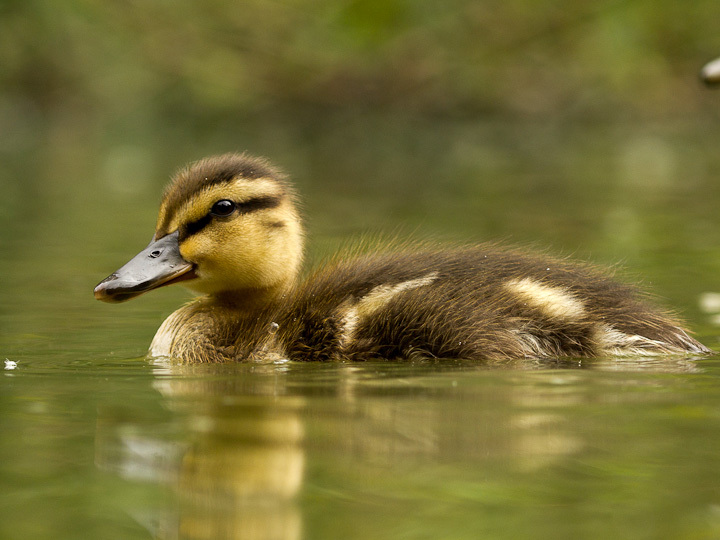 A very late brood Mallard Duckling from water level. I was excited to see this male Pine White nectaring. The omnipresent Woodland Skipper (Ochlodes sylvanoides). 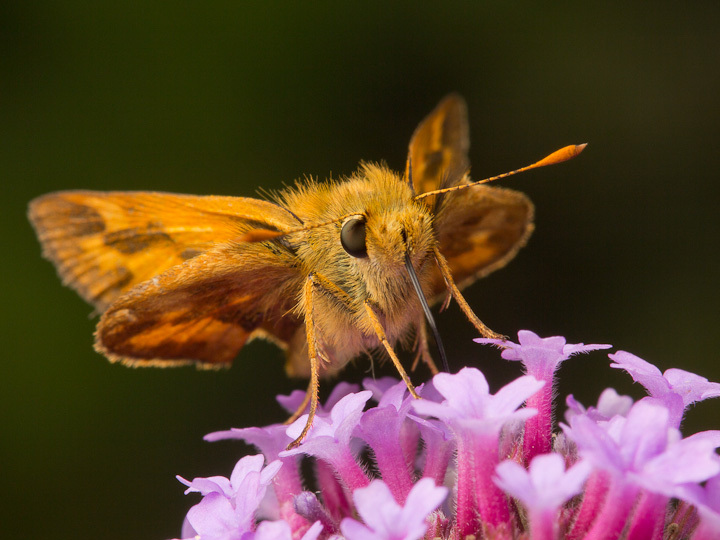 Skippers can be pretty cute! 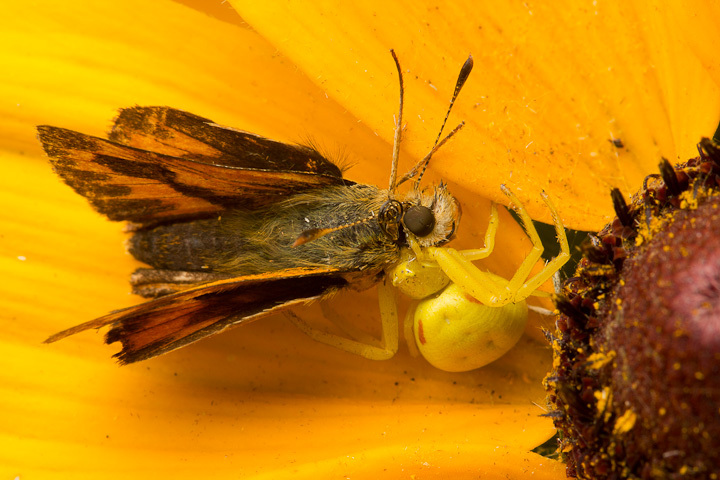 A lucky Goldenrod Crab Spider (Misumena vatia) takes advantage of the skipper abundance. 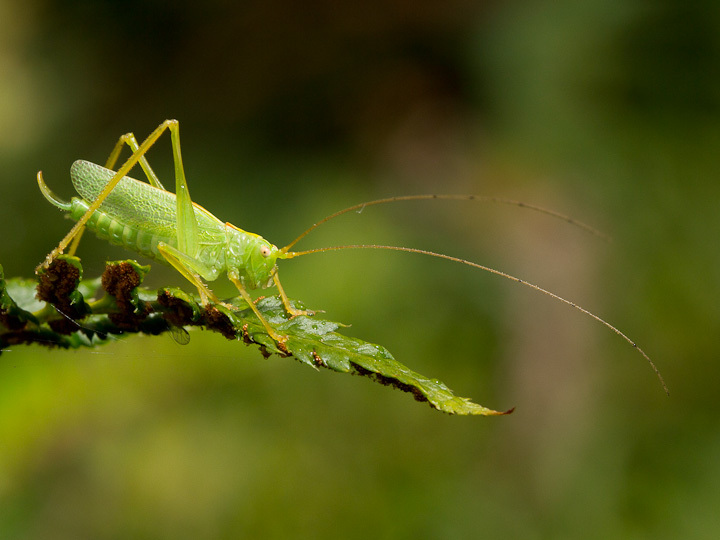 An introduced Drumming Katydid female (Meconema thalassinum) hangs out on a fern. 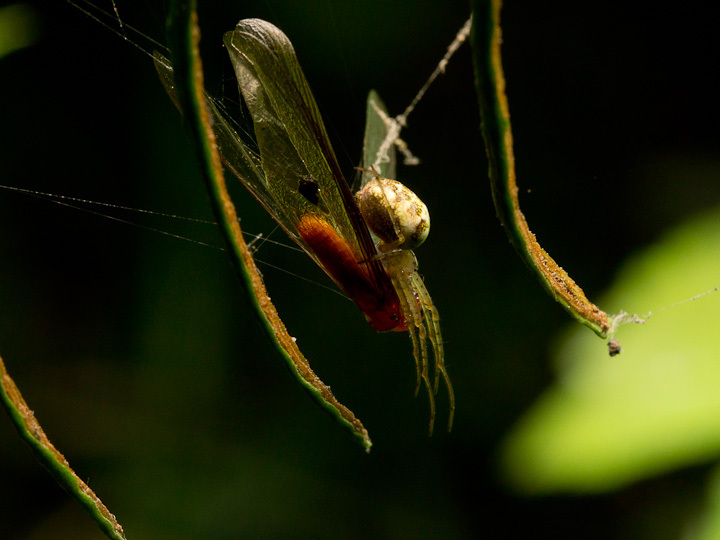 Check out Piotr Naskrecki’s awesome blog post showing katydids ovipositing! 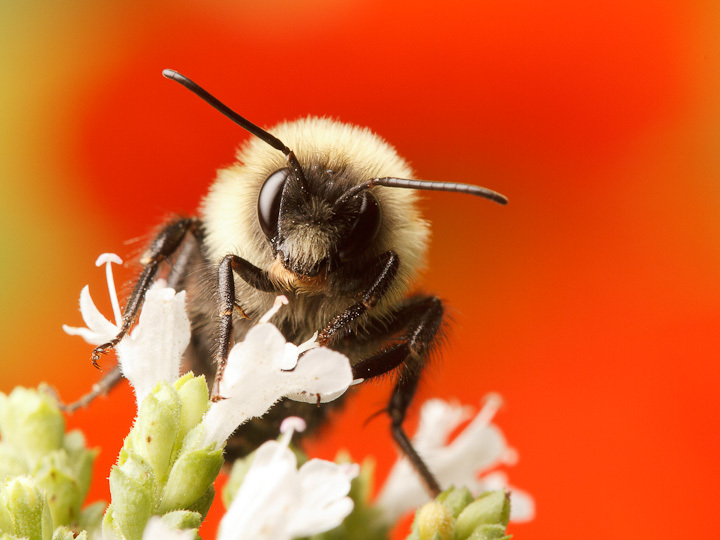 A colourful background makes this bumblebee pop! 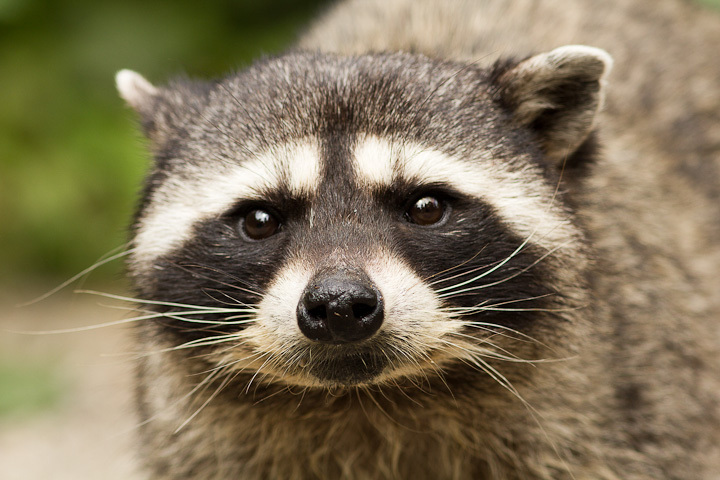 ← Baby Raccoon Break 2! It’s probably one of Van’s better parks. Wish we had something like it in every neighbourhood! Your productivity never ceases to amaze me! From this viewpoint you manage to hold things together amazingly well. Thanks! I wish I had got a dorsal shot of the spider. What a wonderful array of different creatures you came across, Sean! Looks like you had a good day and nice our weather’s not too hot right now. Have fun in Honduras – I know you will and rather envy you- and maybe take along ear plugs if you’ll be working close to your Red-throated Caracaras. ;). Why do you say it’s a hare-brained scheme researching them??? I did some ID using bugguide.net. Earplugs are a good idea with the caracaras, as they can be super loud!